A match made in finance heaven. An integration that streamlines expense approvals and accounting, reducing the manual labor for your finance team. 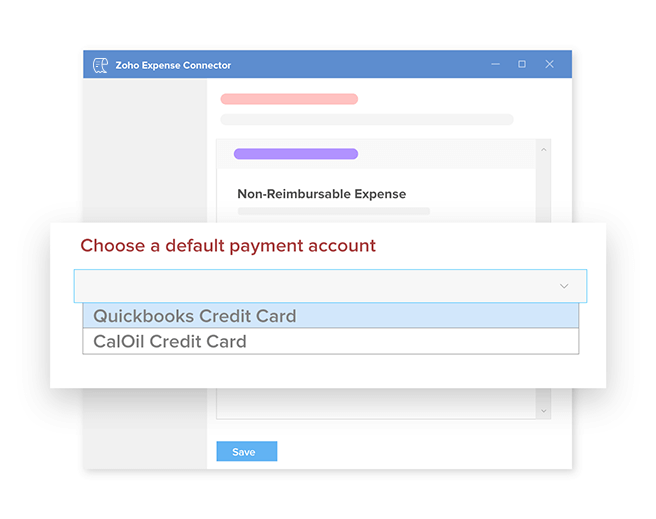 Choose how you want to export your expenses to QuickBooks and what should be brought into your Zoho Expense account. We'll guide you through the integration in just a few clicks, saving you setup time and trouble. Let your employees create expense reports effortlessly, using QuickBooks expense accounts. Approve them in a single click and export them to QuickBooks the same way you import data; quick and easy. Just the way you like it. With expense classes brought in as tags in Zoho Expense, you can organize your expenses just the way you have them in QuickBooks. Bring your customers over from QuickBooks Desktop and create billable expenses for them. When you export the expenses to QuickBooks, you can convert them directly into invoices and send them off to the customer. 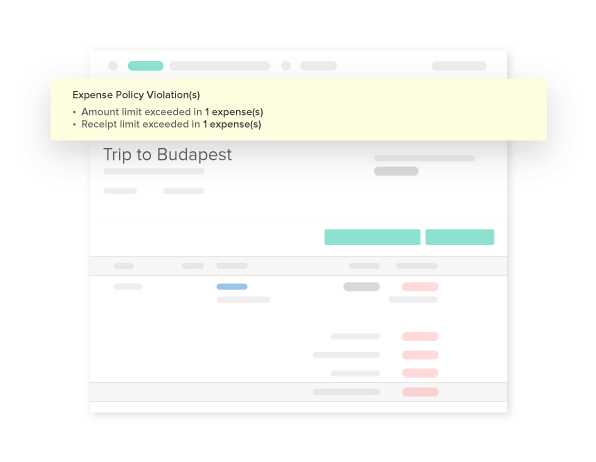 Zoho Expense will flag any out-of-policy expenses so you don't lose money on erroneous reimbursements. Your bottom line will be better, and your profit statement will be more accurate. Do you provide corporate cards? We are about to make your work a lot easier. Let your employees record expenses directly from card transactions and export them as credit card charges to QuickBooks.